Two days in Queenstown is a far cry from enough time in the beautiful town but sometimes that might be all we can get. 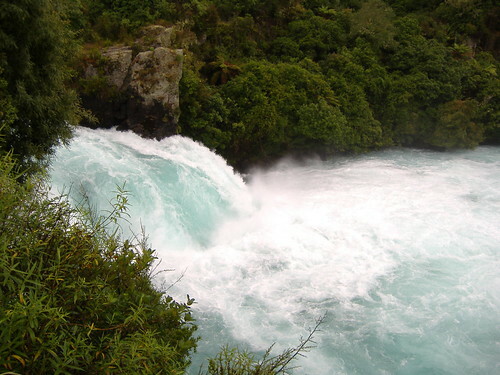 If you're doing a motorhome trip and want to see other beautiful places in NZ, then you may be in and out quickly. So what is there to do in this beautiful town on a quick trip? A lot, and I'll let you in on my favourites. First of all a place to park your Camper and spend the night at. Queenstown Lakeview Holiday Park is a 500m walk from the shores of Lake Whakatipu and a 100m walk from the town centre. If you want to spend the whole day up the mountain skiing or snowboarding, there are several ski fields in the area to tickle your fancy. You could spend half a day or a full day up the Remarkables, Coronet Peak, travel a little further to Cardrona or do some jumps and shakas at Snow Park. 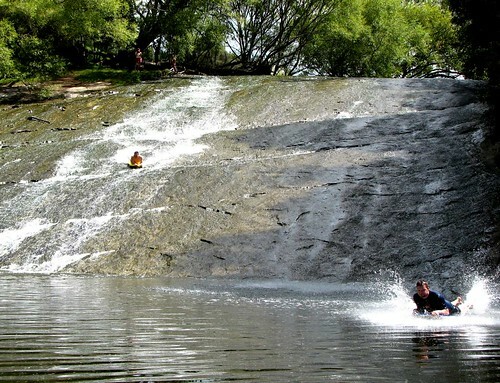 If you want to spend a little more time doing the activities in Queenstown, here are a few. A hearty breakfast always begins the day well. Halo is my favourite, located on the corner of Camp Street and Earl Street. It doesn't have lake views but is nestled next to an old anglican church. A walk down to the lakeside after this will do you well. From here you can decide if you want to do a Parasail, take out a kayak or partake in some other water sport or take a ride on the Earnslaw, the Lake's famous ship. 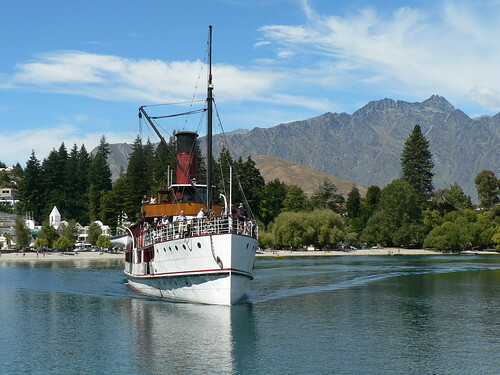 She will paddle steam you across to the other side of the lake where you can see the farm animals, have an agriculture show, go for the Walter Peak Horse Trek or have some delicious tea and scones. Whether you do it on your first day or your second, make sure you stop in at Patagonia Chocolates - a delectable cafe with delicious chocolates and hot chocolates. The shops are lovely to take a walk and browse through with so many NZ made items, beautiful clothes and The Remarkable sweetshop - where you can buy the perfect gifts to take home to loved ones. 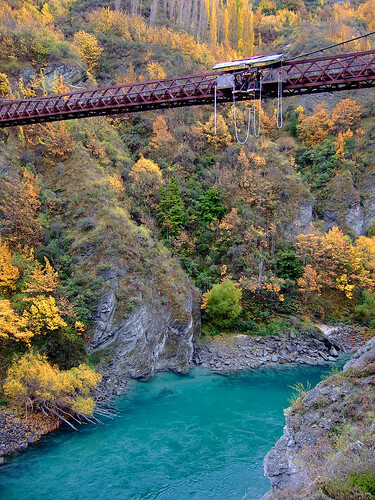 Take a drive over to the shotover river where you can be thrilled on the Shotover jet as it races around the river, or take the plunge and do a bungy jump at Kawarau Bridge - location of the world's first bungy! Back in Queenstown, the gondola awaits to take you up those beautiful mountains that Queenstown strands in the shadow of. 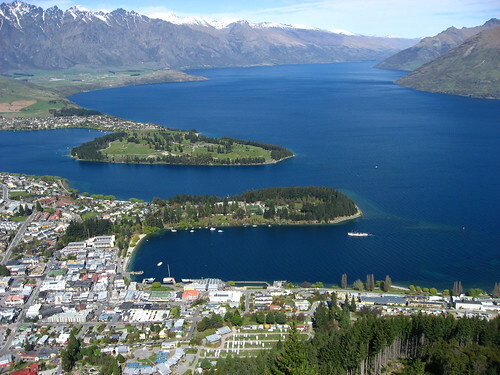 Marvel at the stunning views of Queenstown and the distant mountains as you ascend 450 metres up the mountain. 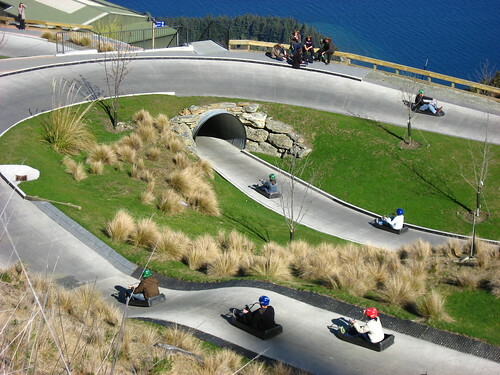 At the top you can take a ride in the luge or explore the terrain and hurdle through the trees on a mountain bike. If you like a bit of mini golf, at the foot of the Gondoloa is an outdoor mini golf course and a very exciting indoor mini golf. Try beat the records! If you've still got time, Arrowtown (about an hours drive away) is a pretty and quaint gold mining town that is definitely worth the visit. Now that should be enough to fill in two days. My dinner recommendations to end the day with are Ferg's Burgers on Shotover street, Queenstown, Pog Mahone's on Rees street (for a pub meal) or Avanti Cafe in The Mall street. 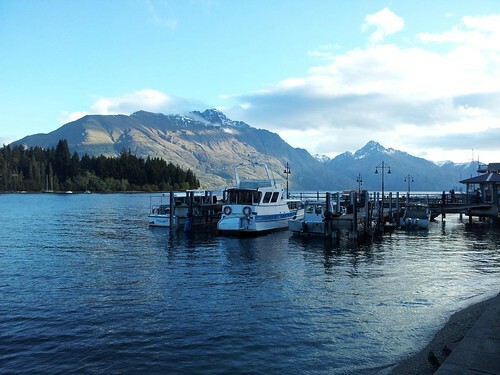 Pick up a Campervan from Queenstown or drive in from somewhere else, but make sure you check out this beautiful and fun town. Give campervan hire sale finder a visit to book your camper!! Have a look on Motorhomeroadtrip.com for more Queenstown ideas or other NZ destinations. Have a fun roadie and have fun in Queenstown! 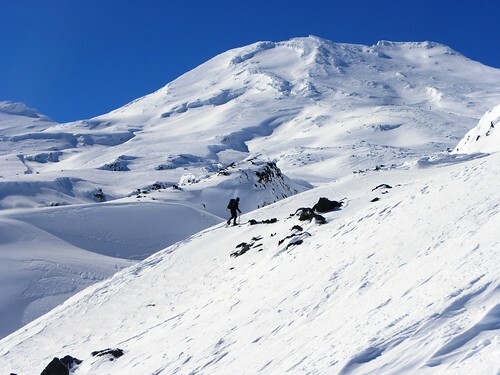 The glorious Mount Ruapehu, in the centre of New Zealand's North Island, will be a snowy, perfect picture soon and a wonderland for skiiers and snowboarders. The double ski field mountain is scheduled to open soon (around July) when the snow covers enough ground to let you shred down the slopes. 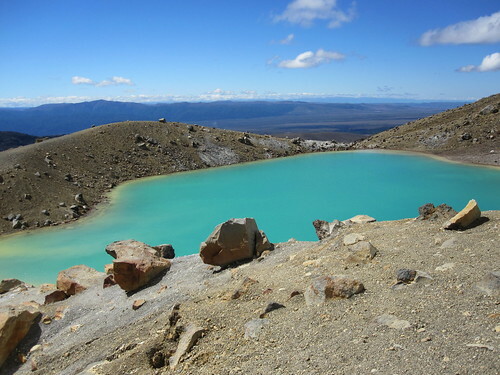 Mount Ruapehu is situated near the middle of New Zealand's North Island in the Tongariro National Park area. 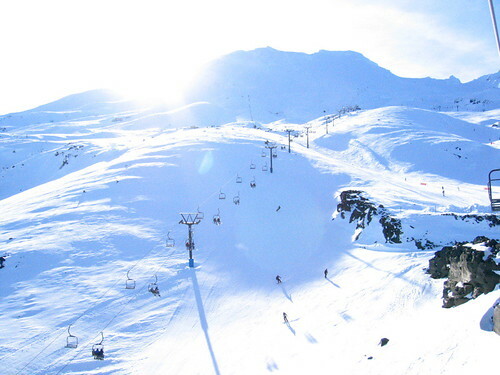 It has two skifields: Turoa, on the southern side and Whakapapa on the northern side. Both are world class ski areas that boast fantastic views over the central plains. On clear days, Mount Taranaki can be seen from the Turoa side and the magnificent Ngaruahoe from the Whakapapa side. (Think Lord of the Rings' Mordor). The ski fields are 3 1/2 to 4 1/2 hours drive from Auckland and about the same from Wellington. The ski fields are accessible by cars and then chairlifts. Both cater for the whole family to have a fun day. Get the kids some ski lessons in Happy Valley and you can head further up the slopes to the fresher powder. There are several campgrounds where you can happily stay in your Campervan in the Ohakune area (which is ideal for Turoa skifield) or in the Tongariro area (which is nearest to Whakapapa). If you're flying into Auckland or Wellington, pick up a Campervan, perhaps stay a night in the city somewhere to get refreshed and then drive the next morning up or down the country. If you want to break up the trip a bit, stay a night in Palmerston North, if you're coming from Wellington, or Rotorua, if you're coming from Auckland. You'll see the majestic Mount Ruapehu from far off on your approach, she'll be glistening in the sun. Head straight on up the mountain if you can. Campervans make a great changing room to get into your snow gear rather than the carpark... If you need to hire all or some gear, you can do that in the villages at the foot of, or up the mountain. If it's a cold day or bad weather day, get back in the campervan, brew up some coffee and snuggle up under some blankets. Campervans sound like they are made for the mountain life. If you're more of a hiker and would rather hike to the summit than ski or snowboard, the walk has got to be one of the best in the world. The reward at the end is incomparable. Make sure you take water and lots of energy!! A Campervan trip to the mountain, a perfect family holiday or couples get away! 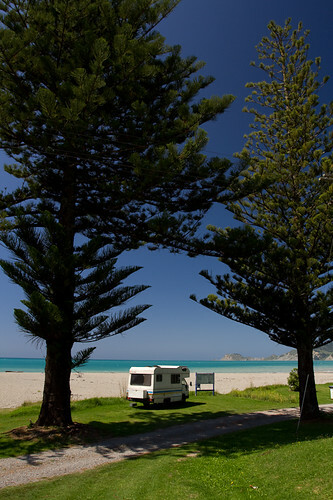 Find a Campervan at many locations in New Zealand. 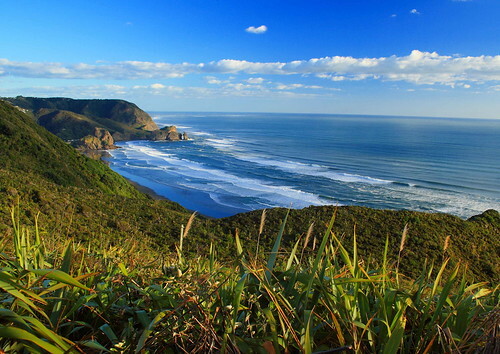 The west coast of New Zealand, a rugged yet spectacularly beautiful stretch of coast. 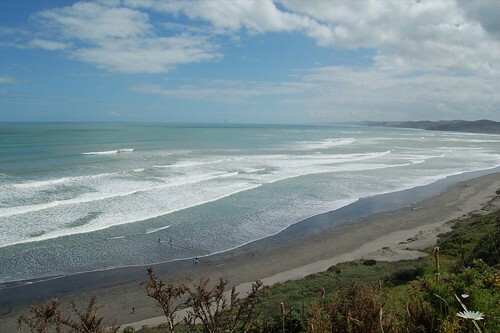 In winter take a drive and see the mountains frosted with snow, the glaciers in full glory and the waves of the Tasman sea beating against the rocky shorelines. Pick up a Campervan in Picton and begin your adventure of New Zealand's incredible scenery and landscapes. Campervans are the perfect way to explore New Zealand. Stop and take in the scenery with a brew of coffee anywhere you like and stop when you feel tired to have a snooze. Cosy up in the campervan and the large windows will let you see the amazing vistas as the sun goes down in the West. After Picton, first up is Nelson. A seaside town featuring many things to do all seasons. Take a mountain bike on the cycle tracks, go fly fishing or set sail on a sailing trip all year around. 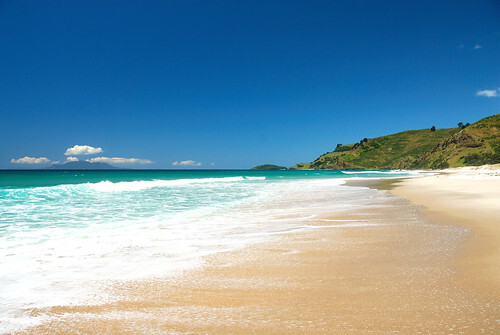 It may be cold in winter but the white sand beaches are still beautiful and worth a walk. Vineyards grace the surrounding area and invite you to winery dining. Or pull up in a Campervan park and cook a gourmet meal in your Campervan's kitchenette. 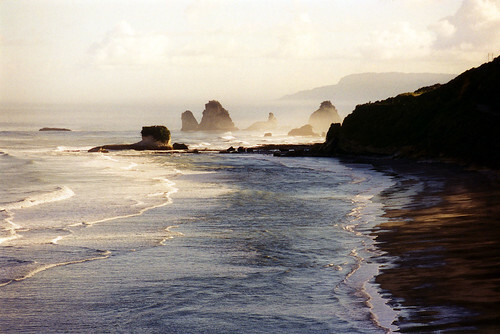 Head Southwest towards Westport, the first taste of the South Island's West coast. Pass through the Kahurangi National park and stop off by the Buller gorge overshadowed by the magnificent Southern alps. The Buller river flows through a deep canyon below State Highway 6. Westport offers many places to dine on fresh seafood and try the local boutique beers while watching the sun set over the ocean. The area is also rich in history from the gold miners and early settlers, thus providing museums and even some gold panning in local streams. Try your luck! 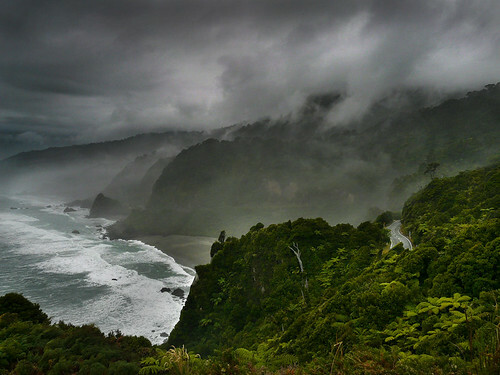 If you're game, head north up the coast to Karamea. This secluded haven is tucked between the mountains and the coast on the river plain. Plenty of prettiness to be seen as well as adventure to be had. It caters for the tramper, mountain biker, the caver, the birdwatcher, fisherman and the botanist. Head down country following the coast road to Punakaiki. The open road will show you the rugged coast for ten's of kilometres. Remember, the great thing about a Campervan is you can sit and relax in it alongside a beautiful scenic spot. 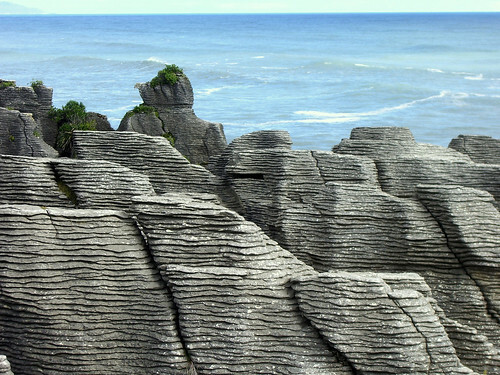 Punakaiki is home to the wonderous pancake rocks and exciting blowholes. 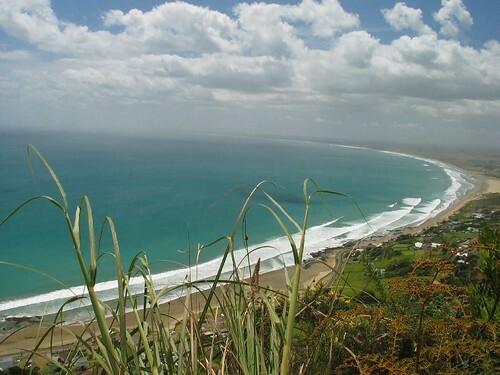 Varied landscapes encompass lush native rainforest, mountain tops and the rugged beach. Take a walk or dine in the waterline restaurant. Continue the campervan chugging along the coast to Greymouth for an explore and then Hokitika. 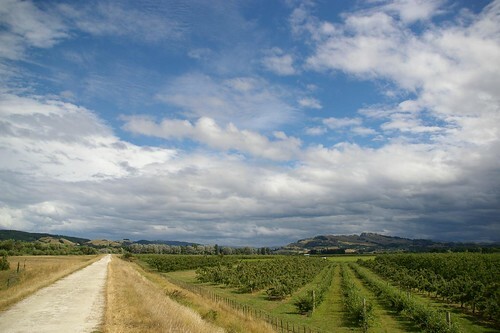 This small town New Zealand is home to some of the best seafood and cheese and plenty of festivals and fun activities. See live Kiwi at The National Kiwi Centre, check out the artisans of Hokitika's working glass and sculptures, carve your own Maori treasure or enjoy an afternoon paddle boat cruise on tranquil waters. 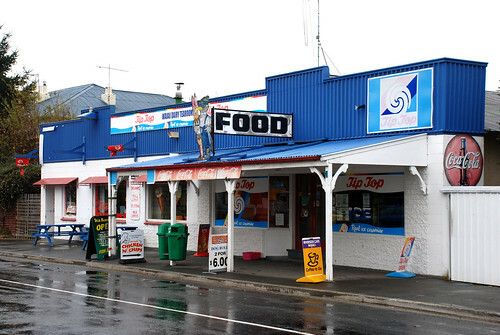 Be sure to taste some white bait, a West Coast delicacy. Once you've had your fill of Hokitika, drive south past rivers, beautiful lakes and small West coast towns to New Zealand's spectacular glaciers. Lake Lanthe, Wahapo and Mapourika are perfect for a scenic stop, so brew the coffee and get out the camera and deck chairs. Franz and Fox Glacier are incredible landforms, that are receding, so not to be missed. Over the bridge from Franz Josef town, you'll find the carpark.... but watch out for the intelligent and very curious native Kea birds.... they like to find food anywhere. Head deeper south through Haast, Mount Aspiring national past beautiful scenic lake roads of Wanaka and Hawea and rest again in Hawea town or Wanaka town. Both exceptionally beautiful lakeside spots. Wanaka is situated in close proximity to Treble Cone or Cardrona mountains if you're game for a bit of skiing, Snowboarding or just checking out the mountain slopes. From Wanaka, the road is open to head south to Queenstown, or east to Dunedin, Oamaru, Timaru or Christchurch on the East coast. Pick your next destination!! or return the campervan to the many town options. 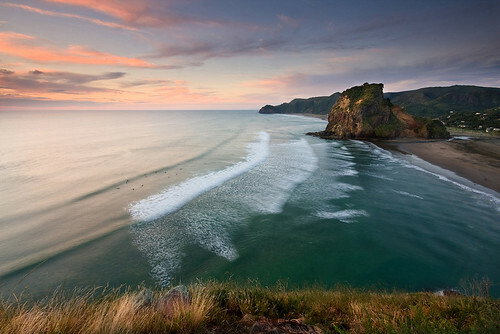 The journey takes in the spectacularly rugged but untouched West coast of New Zealand. Have an incredible journey and make the most of the Campervan's faciulities for making the most of the scenery. All you need to do now is book a Campervan! Find one to suit your budget and desired size at Campervan Hire Sale Finder New Zealand. For most people traveling to New Zealand it means you don't need to learn a whole new language. Along with the spectacular scenery, friendly people and clean green environment, this is a bonus. English is pretty universal and even if it's not the native language, many Europeans, Asians and Americans have learnt it. However, coming to grips with the "kiwi" take on the English language may require a bit more education by a native "Kiwi". I must make a disclaimer however, as I in no way at all know the Kiwi language to the full extent. South Islanders' language differs from North Islanders' just like the North Aucklanders' lingo differs from the South Aucklanders'. I will enlighten those traveling to New Zealand on the more common terms so that when you pick up the rental car or Campervan or check in to the Campervan Park, you'll be able to understand the kiwi bloke whose showing you the ropes.... not to mention make friends with the locals along the way. Dairy: The local corner shop/ convenience store in most small towns and bigger ones too. L&P: The World Famous in New Zealand Fizzy drink, made in Paeroa in central North Island. Chilly Bin: What you keep you food cold in on picnics or roadtrips. Hokey Pokey: A delicious and much loved ice cream flavour. Tip Top: The NZ icecream (and bread) brand. Marmite: NZ's alternative to Vegemite. To be spread thinly (some would argue) on toast. Pavlova: meringuey type cake with cream and fruit on top. Takeaways: "Take out food" or "food to go"
"..as": Used on the end of words to intensify " she was pretty as", "i'm hnugry as"
"..eh" : Used on the end of sentences as a type of rhetorical question, like "isn't it?". "She's real cool eh?" Yeah Right: Said when being sarcastic... you don't actually believe what's being said. Choice! : Something is great! "Everything is choice"
hard yakka: hard work, associated with labouring, "digging that fence post hole was hard yakka!" honky dory: everything's fine, as in "my life is hunky dory"
Bob's your Uncle: "that's it" "That's how it's done". Bit of a dag: He's a hard case, bit of fun. "Gizza Hoon" : Can I have a turn? She'll be right: Everything will be okay. Whanau: Maori for extended family. Hit the road: Get your travel underway. Sunday Driver: Someone driving very slowly. Know the lingo on your journey. That's in no way all of the "Kiwi-isms" but a wee helper to get you through your traveling days in New Zealand. Find some Kiwi road trips to put your new language into use at the Campervan Hire New Zealand blog. And find a Campervan to take a journey through out the small and big towns of New Zealand in at Campervan Hire Sale Finder!